Want to make a friendship bracelet? We'll show you how! You make the bracelet by tying lots of small knots. This creates a pattern. You can have lines, zig-zags and even arrows! 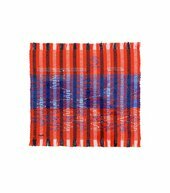 This is a type of weaving. 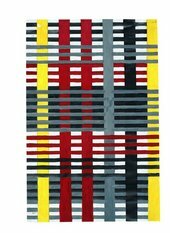 Lots of artists use weaving to create their art. 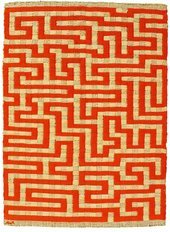 One artist who did a lot of weaving was Anni Albers. Here she is using a large machine to create big textile patterns. 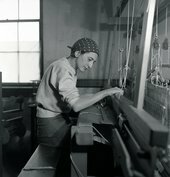 Anni Albers Card Weaving at Black Mountain College Black Mountain College Photograph Collection, State Archives of North Carolina, Western Regional Archives, Asheville, N.C.
Anni Albers studied weaving and textiles at the Bauhaus art school in Germany. 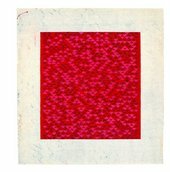 She believed that textiles are a type of art and as important as painting or sculpture! Anni travelled a lot in her life. She spent some time in South America. 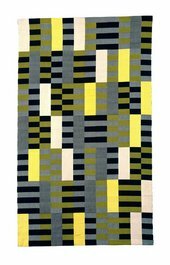 These trips influenced the patterns and designs of her textiles. Have you been somewhere which has inspired you? She used some great colours. Do you like her patterns? Which one do you like the most? Ready to make a friendship bracelet? 12. All done and ready to give to a friend! Learn how to make more patterns and styles with the friendship bracelet kit. Available online at Tate Shop. Please visit this website with an adult. Quiz: Which Pop Artist Are You?